excellent durability from the shock, it is light weight and it protects from the electric shock. 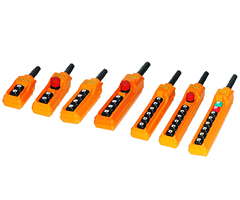 - Manufactured an emergency switch attachment type that can cut OFF the operation power. 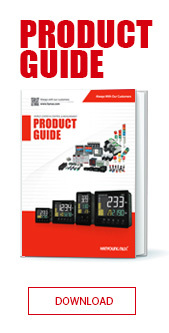 - Various contact unit composition which makes to select an electric motor velocity controlling 2 Positions contact unit lock-up, seesaw and momentary operation contact unit.